The Premier Auto Styling & Window Tinting Franchise! *The Automotive Aftermarket is projected at $381 billion parts and accessories industry that services approximately 279 million vehicles in 2017 and is projected to reach $421.2 billion in 2020. Specialty Equipment Market Association (SEMA) parts and accessories subset of the entire automotive aftermarket is $41 billion in 2017. The specialty equipment market is sometimes referred to as the as performance parts and accessories market. Automotive Electronics Market size was valued over USD 206.33 billion in 2016 and will surpass USD 395.91 billion by 2024. The Window Film market size is expected to increase from 7.93 Billion a year in 2015 to 13.81 Billion a year by 2025. Since 1982 Tint World® has provided high-quality window tinting and vehicle accessories to people who love their cars. With a wide selection of automotive products and services, clean, attractive facilities, and superior customer service, Tint World® has become America's favorite place for auto styling and marine styling accessories, and residential and commercial window film services. Now, anyone can be the proud owner of a Tint World® Automotive Styling Center. In 2007, Tint World® began franchising, and quickly became the nation's largest and fastest-growing window tinting and auto styling business opportunity. If you're interested in running your own business and being your own boss, you too can enjoy the excitement and profitability of running your own Tint World® auto styling business – all for a surprisingly low initial investment. Automotive experience is not required to take advantage of this exciting opportunity, so anyone can find a profitable, successful business with a Tint World® franchise. Read on to learn more about what makes Tint World® such a great franchise, and why this opportunity could be the right business for you. Enjoy the excitement and profitability of owning a Tint World® auto styling business – all for a surprisingly low initial investment. 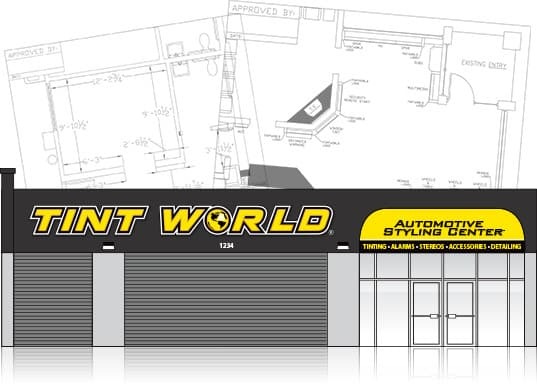 With Tint World®, you have the support of a perfected operations formula which has been developed over 35 years to efficiently guide automotive service operations and marketing so you can experience the same level of success enjoyed by our current franchisees. The auto accessory and window tinting market is populated largely by independent craftsmen who lack the capital resources, business skills, marketing, and buying power to compete effectively. With the strength and support of Tint World®, you will offer a superior service and dominate your market. Tint World® provides consumers and businesses with a wide variety of products and services, making our business a one-stop-shop and letting franchisees benefit from many lucrative profit centers. Read on to learn more about the products and services offered at Tint World®. Thanks to our extensive training program, anyone can become a successful Tint World® franchise owner. Tint World® business owners come from all different backgrounds and walks of life. No automotive experience is needed - just the drive and motivation to succeed with your own auto styling business. Automotive styling, performance and accessories market is a 41-Billion dollar a year market. Tint World® has strategically positioned itself to allow franchisees to capitalize on these high-demand services. Additionally, the window film market size is expected to exceed 13-Billion dollars a year by 2025. Tint World®’s online webstore gives each franchise location instant access to sell thousands of name brand products directly from the Tint World® website. Your customer can purchase performance or accessory products online with the ability to deliver them to your location for pick up or installation. The Tint World® Franchise System provides entrepreneurial scalability. We offer several franchise options that vary in size and commitment so you can find the opportunity that best matches your lifestyle. The Single Store Franchise is very popular because it offers you a turn-key startup of a new Tint World® franchise location that provides you to be in business for yourself, but not by yourself, because it is backed by all the benefits and support of the Tint World® nationally-marketed brand. The Multi-Store Franchise Area Developer Program is for enterprise level business developers. Tint World® allows you to create your very own “mini market” of franchise locations. We’ll be there every step of the way as you develop each and every franchise location and grow from an individual store franchise owner to a multi-store operator. Tint World® offers a lower franchise license fee for qualified multi-store franchises. The International Master Franchise Program is the closest anyone can come to replicating our corporation, only abroad. Tint World® is seeking strategic-partners who would like to bring our Tint World® business model to their country. Tint World® is seeking Master Franchise partners all around the world. Tint World® is presently operating in the United States, Canada, United Arab Emirates, and Saudi Arabia. International Master Franchise Opportunities are available for all other countries. International Master Franchise partners oversee the growth of Tint World® inside their country. As a Master Franchise, you receive franchise fees and royalities from each franchise you award in your country. Contact Tint World® Franchise Development for information on the minimum requirements and initial investment that will vary depending on the specified country. Tint World® is a rapidly growing franchise that’s looking for motivated, like-minded individuals to become part of our family of franchisees that want to help each other succeed! 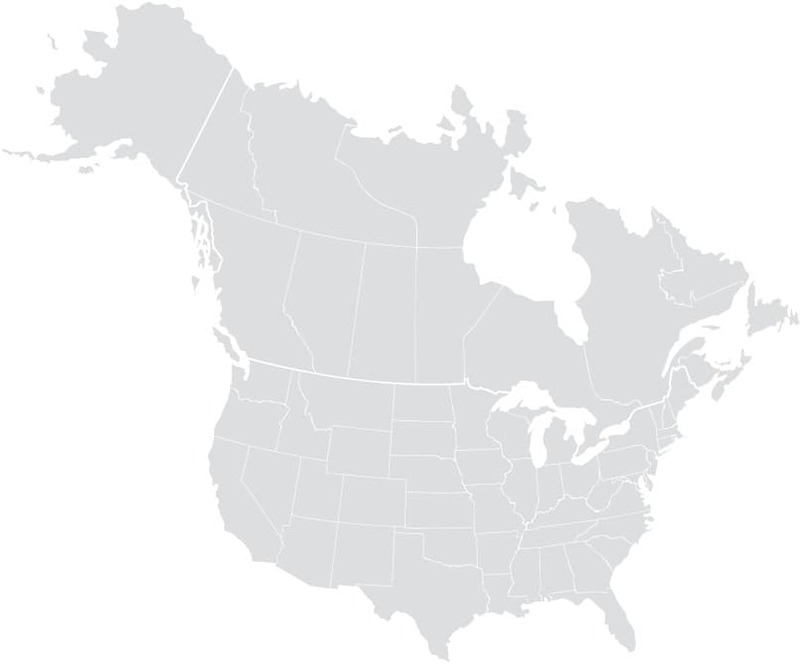 Tint World® has Territories Available in the USA and Canada with a target of having 300 Stores Open by 2025. Franchisees greatly benefit from our proven business model, excellent support systems, and nationally recognized brand when establishing their own franchise locations. Our International Master Franchise License opportunity is available to qualified entrepreneurs outside the United States and we are always seeking franchise partners around the globe. Tint World® is presently operating in the United States, Canada, United Arab Emirates, and Saudi Arabia. International Master Franchise Opportunities are available for all other countries. Charles J. Bonfiglio became Chief Executive Officer and president on Sept. 1, 2006. Bonfiglio is responsible for all functions related to the leadership, development, direction, and operation of the company, as well as growing the family of franchise owners while maintaining the company’s budget and growth projections. 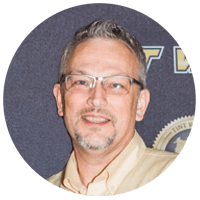 He also oversees sales, marketing and business functions within the company, including all aspects of print and internet marketing, planning, creative design, execution and performance of the company’s annual budget and catalog of products and service offerings. Bonfiglio developed the franchise system by converting a chain of six independently owned auto accessory and window tinting centers to an international franchise chain. To accomplish this, he formalized a standard uniform operations manual, trademarked the company name and logos, drafted the company’s franchise disclosure document and successfully filed it with the United States Federal Trade Commission, enabling the company to become an international franchise offering in 2007. Bonfiglio also founded Auto Parts Network® in 2006, and serves as Chief Executive Officer for the ecommerce company in Boca Raton, Fla. Bonfiglio previously served as Chief Executive Officer and franchise developer for the privately held Meineke Car Care Centers from June 1, 1983 to Aug, 31, 2014. 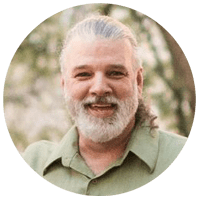 His previous business experience includes founding numerous companies, acquiring, developing, and managing large-scale real estate projects in New York and South Florida. Charles J. Bonfiglio is a results-oriented professional with a successful background in building businesses, strong management teams, real estate developments, while possessing unequaled proficiency in creative finance. Bonfiglio’s particular area of expertise is leading automotive companies to maximum profits and market share with outstanding customer satisfaction through unparalleled team-building leadership, broad-based experience and a winning attitude. Bonfiglio’s direct expertise is in the automotive parts and service industry, franchising, ecommerce, web design and software development, patents, trademarks, brand marketing, real estate development and financial management. With more than 30 years of developing and leading successful business operations, Bonfiglio is a business executive with broad experience in all aspects of business and real estate development. Jeanette Bonfiglio was appointed chief financial officer on Jan. 1, 2007. She is responsible for all administrative business functions within the company’s accounting department and oversees the senior account manager. Bonfiglio also directs and manages budgeting, projections, P&L, balance sheets, and performance of the company’s financial reporting, which includes franchise administration, licenses, royalties and the national advertising fund. Bonfiglio previously served as chief financial officer and franchise developer for the privately held Meineke Car Care Centers from June 1, 1985 to Aug. 31, 2014. Jeanette Bonfiglio is an experienced business operations executive with major accomplishments in both business and financial management. She is directly responsible for managing back-office operations, human resources and accounting, resulting in the successful establishment of multiple companies in South Florida. Bonfiglio has 30-plus years of hands-on management of many successful business operations and has grown sales volume and profits through increased market penetration. 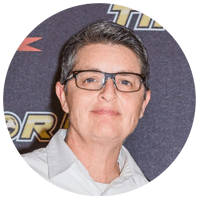 She brings expert operational systems to support franchise business operations, personnel, customer service, inventory control, purchasing, compensation and expense control. Jeff Stark was appointed chief operating officer on Jan. 1, 2017. Stark is responsible for assisting franchisees with finding and securing real estate locations in the United States and Canada, and supporting franchisees through new store buildout from concept to completion. Stark also assists franchise owners with maximizing each store’s financial profitability, performance and operational excellence. Stark had served as vice president of store operations since Jan. 1, 2015. 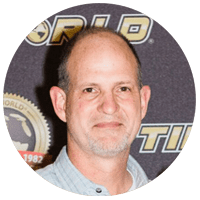 Stark served as general manager for a large multi-center franchise developer of Meineke Car Care Centers in South Florida from Jan. 1, 1998 to June 30, 2014. He was responsible for multiple franchise store locations and operational system support. Stark has more than 20 years of automotive retail experience with broad industry knowledge of advanced sales training, financial management, business operations, compensation, expense control and customer service. Brian Schroeter was appointed chief technology officer on Sept. 1, 2014. Schroeter is responsible for scientific and technological issues, strategic responsibilities and relationships. Schroeter also maintains foundational software platforms for any new applications and ongoing operations and technology integral to the company’s business. Schroeter has been involved in numerous open-source solutions and has created several commercialized software solutions. 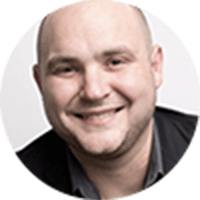 He has acquired numerous industry-related certifications, making him a valuable asset to the leadership team as he assists with shaping and enhancing the brand’s technology throughout its domestic and international expansion. Schroeter has more than 15 years of experience in software engineering, systems management and systems security implementation. Paul Pirro was appointed executive vice president on Nov. 1, 2009. 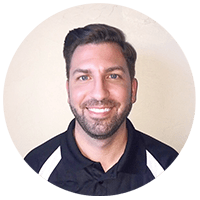 Pirro is responsible for building vendor-partner relationships; negotiating contracts and costs; category growth; and strategic development to improve franchise locations and customer experience. Pirro also assists franchise owners with new owner training, store displays and merchandising, pricing and promotions, inventory management, and product development. Pirro also represents Tint World® as an elected board member of the Consumer Technology Association’s (CTA) Vehicle Technology Division. In 2010, Pirro became an education committee member for the Mobile Electronics Retail Association (MERA) and Mobile Electronics Certified Professional (MECP), contributing to the 2010 MECP “Basic Installation Technician” study guide. Pirro’s previous positions were vice president of Victory Technologies, national sales manager for Mobile Electronics Magazine, and vice president of Select Products, a manufacturer-distributor of 12-volt products. Pirro has more than 30 years of professional experience in the automotive and commercial industries. John Marsh was named franchise operations manager on April 1, 2014. Marsh is responsible for daily support of the franchise locations in the United States and Canada, and helps franchise owners meet the demands of the company’s fast-paced growth with sales training and operational support. Marsh’s previous positions included co-founding a manufacturer’s rep firm overseeing the Southeastern region, and he spent six years as a manager for Atlanta-area 12-volt retail stores. Marsh started his 12-volt career in the sound-off competition lanes of the mid-1990s, and began working at Esoteric Audio in the marketing department. He later moved to The Path Group (IXOS), where he assisted with marketing, sales and product development. 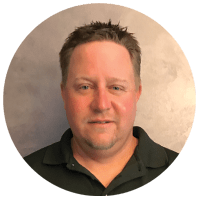 Marsh has more than 20 years of automotive and 12-volt experience, and broad invaluable industry knowledge to support the franchise locations, especially in dealing with business operations, inventory control, manufacturers and customer service. Joe Iglesias was brought on as franchise operations manager on April 18, 2016. 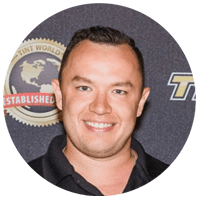 Iglesias is responsible for daily support of the franchise locations in the United States and Canada, and helps franchise owners meet the demand of the company’s fast-paced growth with sales training and operational support. 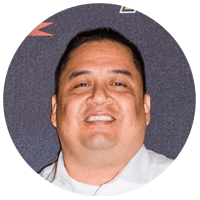 Iglesias served as territory sales manager for Audio America, a large manufacturer distributor where he was responsible for overseeing International distribution and technical training. Iglesias has more than 20 years of automotive and 12-volt experience. He has experience in dealing with business operations, inventory control, manufacturers and customer service. Christine Holste was brought on board as creative design and marketing manager on May 1, 2015. In January 2018 she was promoted to creative director. Holste is responsible for creative graphics and design, visual layout, and brainstorming. She also provides franchise owners with marketing and advertising material support. Holste’s previous position was senior packing and design manager with Just Play Products, where she supervised all aspects of the art team and creative department. In collaboration with product designers and brand managers, Holste led her department in the development and design of compelling advertising, trade-show graphics, product displays and award-winning retail packaging for positioning in every major mass retailer throughout North America. Prior to working at Just Play, she was creative director at Brandberry, a full-service licensing agency specializing in creating, building and licensing brands. During that time, she managed multiple on-site design teams located within various client offices in South Florida that specialized in the creation of marketing collateral, style guides, retail packaging and overall brand awareness. Holste has more than 20 years of experience in photography, graphic design, art direction and marketing within various consumer product industries, including office supplies, consumer electronics, food and beverage, cosmetics and architectural lighting. Donna Brenner was named senior accounting manager on Sept. 1, 2016. Brenner is responsible for all accounting support to the CFO. She also assists with developing and implementing systems for collecting, analyzing, verifying, and reporting financial information while overseeing the accounting department. Her efficiency brings a level of detail to the accounting department that allows the corporate staff to focus on the growth of the organization. 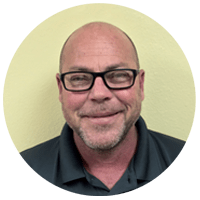 Brenner’s previous experience was in a variety of industries, including property management, advertising and e-commerce sales. She brings more than 20 years of experience with a broad range of accounting function knowledge. She possesses a skill set and a proven track record of increasing work-flow and streamlining processes and procedures, and accounting function knowledge that enhances the organization. Anthony Foley was named director of franchise development on May 1, 2008. Foley is responsible for consulting with franchise prospects and providing ongoing support for their businesses. Foley’s previous positions include franchise development with United Franchise Group, where he consulted for brands such as SignARama, EmbroidMe, Bill Board Connection, World Franchisors and Franchise Greenhouse in West Palm Beach, Fla. from Nov.1, 2006 through Aug. 15, 2008. Foley also worked with Randstad Staffing Solutions of Atlanta, as well as Brillante Enterprises of Tallahassee, Fla as advertising manager. Foley has more than 20 years of franchise consulting experience and a broad knowledge of overall business operations. Daniela was hired as franchise development manager on June 1, 2017. She is in charge of spearheading all phases of project management for franchise development that includes planning, execution, monitoring, and project closure. Haskins also plays a pivotal role in providing full support for onboarding new franchise owners that ensures prompt completion of all pre-opening milestones, including coordination of initial training and overall business support. Haskins participates directly in the activities that produce the end result and strives to maximize benefits and minimize costs. Haskins’ previous position was project manager and process improvement analyst with SBA Communications, Inc, where she led and monitored activities prior to infrastructure acquisition, gathered financial and economic metrics, and conducted industry research for analysis and review by the company’s executives and officers. Prior to her promotion and throughout her career, Haskins managed AP and AR processes and traveled abroad to conduct staff training. Haskins brings more than 20 years of experience in project management and administration coupled with a strong financial accounting background. Vanessa Gamble was appointed marketing and communications manager on Oct. 1, 2017. Gamble is responsible for the development, implementation, and execution of daily marketing activities and long-term marketing strategy. She also provides franchise owners support in regards to training, mentor-ship, and professional development. Along with a double major in international business and marketing, Gamble has experience in sales, public relations, social media, staffing, research, data analysis, and content creation. Tint World® started from a single store and has grown to be a nationally acclaimed franchise. Browse through our years of success below.